This post draws on marked examples from the AQA exam board’s A-level sociology papers 7192/32: Topics in Sociology to demonstrate what you need to do to get an A* grade in sociology A-level. NB – this post only refers to section A: the families and households option, your option in section A might be different, and you will need to repeat this level of performance in section B in order to A* this paper! According to the AQA’s 2017 A-level grade boundaries you need an average of about 60 raw marks out of a total of 80 get an A* in paper 2. This means you can ‘drop’ 20 marks and still get into the A* category. 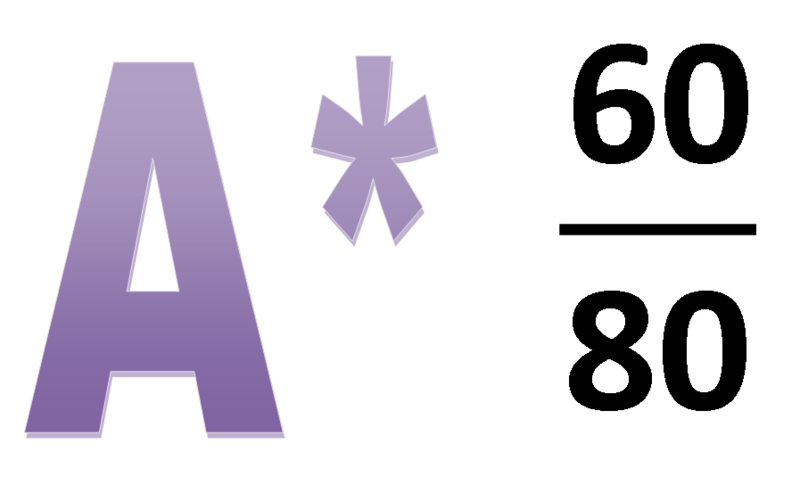 = Total marks of 66/80, if you repeat this performance for the same question styles in section B, COMFORTABLY into the A* category! The remainder of this post explains how to get top band marks in each of the 3 style of questions on paper 3, drawing on specific examples from a the AQA’s specimen papers and some model marked scripts from last year’s 2017 A-level sociology examination series. For more details on how these exams are assessed, please see the AQA’s web site. The example below, from the 2017 paper 2 achieved 8/10. So far, so abstract: the question below is a full mark answer taken from the AQA’s 2017 A-level paper 7192/2. Below is a link to a response taken from the AQA’s 2016 specimen material which achieved 17/20 – so just into the top band! The AQA’s 2016 A level specimen paper and commentaries. This (hopefully) raises the question (is that a pun?) about what you’re likely to be asked to outline and explain/ analyse or evaluate…. If you read to the AQA’s specification carefully, which I’ve done (I couldn’t sleep the other night, it did the trick nicely), then you’ll find that there are 7 ‘core themes’ in A level sociology that examiners are likely to wrap these three basic question types around. Outline simply means give a reason and explain how…. Outline and explain three ways in which a concept ‘manifests itself in society. Analyse how globalisation has affected social life. Evaluate means to demonstrate the strengths and limitations of something….you typically do this by considering a claim from another perspective, or by using evidence to support or refute it. Evaluate the usefuleness/ relevance of a concept in explaining social phenomena today. Evaluate the view that a particular social policy/ social change has had a negative or positive impact on society. Evaluate the view that a particular reason is the most significant reason for class/ gender or ethnic differences in society. Evaluate the usefulness of any perspective for helping us to understand the role of institutions in society. Evaluate the view that globalisation has had a positive/ negative effect on any aspect of social life. It’s relatively easy to differentiate teaching according to whether you’re asking students to ‘outline’ (easy) or analyse/ evaluate (more difficult), but I also think teachers need to be VERY AWARE of the which of the seven types of question they are getting students to think about, as each has a different kind of ‘flavour’ which influences the way it should be approached. NB – the question types above are not meant as an exhaustive account of all the possible question types students might be asked about in the exam, but if you focus on getting students to think about these questions you’re covering most of the bases. Apply a perspective in order to explain any social phenomena/ media event/ social trend. Apply a research method to a particular topic. Please click here for advice on the 2018 crime and deviance with theory and methods sociology paper 3. Please click here for my main page on exam advice. I’m a bit concerned that the plural on differences means you need to talk about two different ethnic groups… so to be on the safe side. (Of course it’s not obvious that you need to do this from the question, and maybe you don’t, but remember the AQA’s burning hatred of teenagers… I wouldn’t put it past them! Asians over represented due to Islamophobia – more labelling by media/ public/ police = higher conviction rate. Both of those need to be better articulated, but they are two completely different reasons! BUT – Have you really nailed the difference between integration (belonging/ connections) and regulation (clarity of rules/ prevention of anomie)? Albert Cohen’s status frustration and the standard rebellious subcultures. To link into the above point you could draw on Merton’s responses to strain and just relate these to subcultures. Point 5 – Actuarial Justice and risk management. I covered this at the bottom of this post of participant observation, but you’d need to expand on all the points! I’d probably go for point 1 validity and point 2 on ethics to make sure the two points are very different. One thing you NEED to do for this is to compare the two -overt and covert! Straightforward – the item directs you to consensus and Marxism and labelling theory (also Weber’s social action theory, but I’d leave that aside and just settle for 16 or 17 out of 20) and talks about power. Overall evaluation – use PM to criticise both, and conclude that conflict theories are absolutely more relevant! Overall I thought this was a reasonable paper! Classic, even. A few hints for how I recommend answering the Crime and Deviance section of AQA’s paper 3 (which also contains theory and methods, more of that later). NB – What’s below isn’t endorsed by the AQA, but it’s my best interpretation based on what I’ve been told works. See this post for an overview of the three AQA sociology A level exam papers. For advice on Paper 1 (education and theory) please click here. For advice on Paper 2 (families and beliefs) please click here. My main post on exam advice and how to answer short answer questions and essays is here. Bullet point each point and explanation. For each of the two points, make two further analytical points to develop that point, and ideally evaluate it. If it’s a perspectives essay, evaluate using other perspectives towards the end of the essay as you build up to your conclusion.